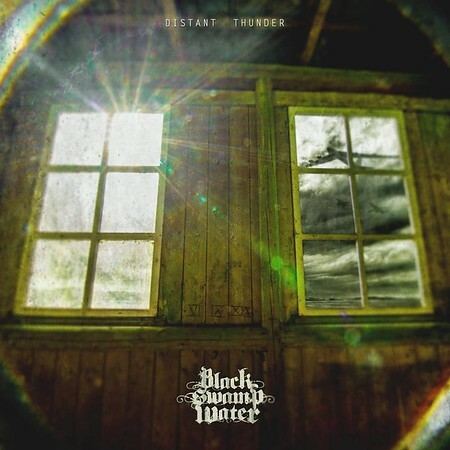 Danish band Black Swamp Water released their second album, “Distant Thunder”, through Mighty Music on 24th August. The band delivers a great blend of stoner and southern rock, but the over-riding vibe undoubtedly comes from their Black Sabbath influences. I’ve played a few tracks from their 2016 debut album “Chapter One” in the past and so far the tracks “Rebellion” and “Bitter Harvest” from the new album have featured on the Friday NI Rocks Show – on 20th July and 3rd August respectively. Black Swamp Water formed in 2011, releasing an EP called “Hellride” in 2014 and their debut album “Chapter One” on 26th August 2016. I’d published a recommendation for that album on the Rock Radio NI website too. Almost exactly two years later they’ve followed that up with the release of “Distant Thunder”. Black Swamp Water are Bjørn Bølling Nyholm on vocals, Kim Langkjær Jensen on drums, Jan Geert and Martin Lykke Hansen on guitars and Jeppe Birch Friis on bass.